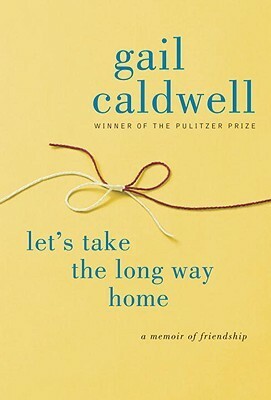 Let’s Take the Long Way Home is the true story of what a deep and intimate one-on-one friendship can be. This book is not for everyone (nor, probably, is that kind of friendship), but I think it will resonate with many readers. It certainly did with me. Within weeks they were inseparable – drawn together by their dogs’ need for exercise and their own need for friendship. They walked for miles every few days, carrying pockets full of “liver snaps for the dogs and graham crackers for the humans” as Clementine and Lucille bounded across fields ahead of them. After hours of deep conversation, they would separate, go inside their respective houses and phone one another to keep the conversation going. Perfect, right? This is a gorgeous book. It is beautifully written, uplifting, hopeful, and sometimes heartbreaking. It is filled with love. You will cry, but you will laugh much more. Thankfully, as in life, the dogs steal every scene they’re in and ease you through the hard times. I’m on it! Thank you for introducing me to these two friends. From what I know of you through your wonderful blog, I am sure you will love it. Circle back if you can and let me know! This is my kind of book, Dale. I am partial to non-fiction and I have been blessed with very close female relationships in my life so it sounds perfect. Thank you!